The mathematization of the sciences, of engineering, and of economics has been an outstandingly successful intellectual enterprise, enabling the modern world. As the operations of the world become more and more dependent on highly interconnected, massively complex, networked systems of computational devices, the need to develop a mathematical understanding of their properties and behaviours is increasingly pressing. Our approach, described in this monograph, is to combine the compositionality of formal specification –– using techniques from algebra, computation theory, logic, and probability theory –– with the control of level of abstraction afforded by the classical mathematical modelling method. 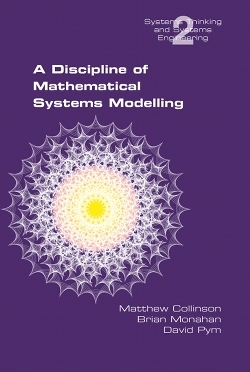 The first chapter provides a complete high-level view of the approach to systems modelling that is developed in the monograph. It provides both conceptual and philosophical background and introductions to the technical development. The remaining chapters develop the mathematical and computational aspects of our approach. Each chapter develops a specific mathematical or computational component, clearly integrated into the overall development. Examples, including ones based on industrial and commercial applications, are provided throughout. An implementation of a simulation engine (Core Gnosis) for executing models is available.